Caught this on TV the other night and had to watch it to the end. It still offers compelling viewing if martial arts is your thing. I remember seeing this when it came out (I looked older than I was!) and the stir that it caused amongst school mates. This film is credited with literally kick-starting the whole kung fu genre and the popularity of films about martial arts. 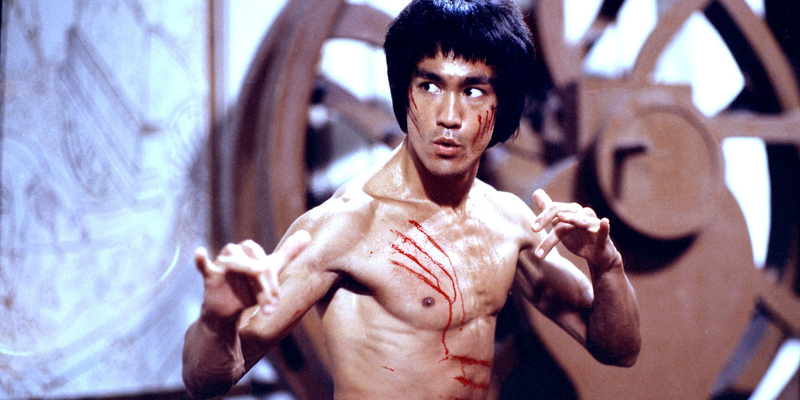 It also propelled Bruce Lee (Lee) to immediate stardom. The plot and acting are nothing much to celebrate. They serve merely as a vehicle for the action sequences of which there are many. Crime, trafficking, revenge, under-cover intelligence, greed, pride and sexual attraction all ferment together to provide the context for Lee to fight the baddies, avenge the death of his sister and help the good guys beat the bad guys. The film has a very utilitarian view of morality and little is nuanced. The main characters all have a back story and a reason for coming together. It is interesting that some have picked up on the film as having a decolonisation vibe alongside many other films set in Asia and Africa in post-war years. It has also been championed by some as being connected with and supporting the Black Power Movement through the character of Williams (Jim Kelly). Both of these ideas are further expounded in the Wikipedia article on the film. I don't have much more to say about the film - except I thoroughly enjoyed it. If you don't mind a little bit of Kung Fu Fighting and haven't seen it, I would encourage you to watch it. I'll give it 7/10 and am happy to have the 30th anniversary special edition in my library of discs!